It’s back! And we don’t just mean the cooler weather. Pure Sky Lounge’s amazing rooftop terrace has reopened for the new season and with it some exciting new promotions. One of our favourite Friday sunset brunches is back with a relaxed atmosphere and some of the best views of the beach and the Palm that you can find in Dubai. We love the fact that it’s late timing means we don’t have to jump out of bed on a Friday and the selection of Asian sharing plates make for a light and welcome respite to the carb-heavy buffets of days gone by. What’s more, Pure Sky Lounge, located on the 35th floor of Hilton Dubai, The Walk has launched its Saturday Motown Sundowners where you can lounge in the perfect setting to watch sink into the waters of the Arabian Gulf from the expansive terrace, with its slick white and blue decor, and enjoy a bottle of wine and a delicious sharing board of bar bites to share. As you feast on Japanese Fried Chicken, Wagyu Beef sliders, Chunky Fries with homemade ketchup, Prawn Tempura dipped in chili mayo and tasty chicken bites, relax on the comfortable sofas to the sound of resident DJs playing the best of Motown tracks. The atmosphere is chilled, the drinks are cool and the winter breeze makes for an idyllic Saturday evening and a perfect way to round off the weekend with a loved one or friends alike. 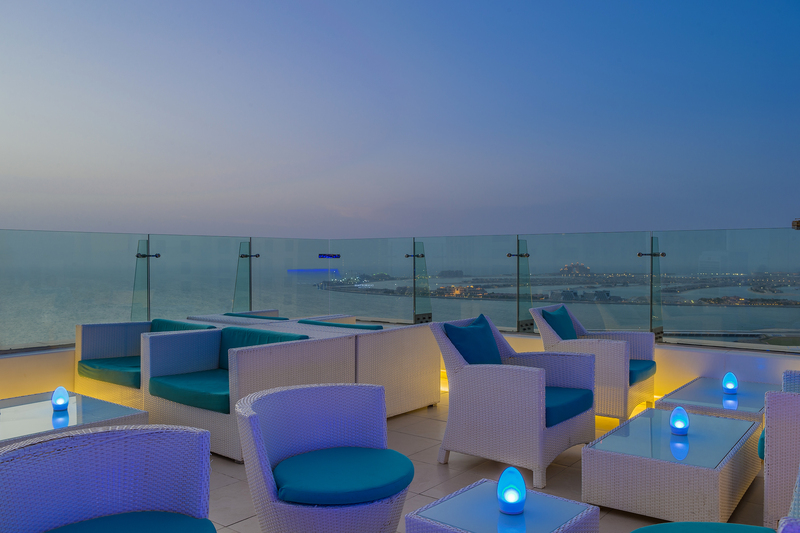 With two expansive terraces, Pure Sky Lounge is not so much of a hidden gem as an oasis of calm from the hustle and bustle of JBR below, a long-standing favourite of residents and tourists alike that is loved for its Pan Asian cuisine and extensive cocktail menu (the Marshmallow Martini is a must try!) alongside its unparalleled views of the ever-changing Dubai skyline. cocktail pitcher for 2 people for only 250 AED.